There are many viewpoints about autism. Aspies for Freedom (AFF) is an autism activist group that remains controversial within the autism community. The Asperger and autism support group shares the mutual goal of improving the lives of all people within the autism spectrum with other autism support organizations. However, the organization's opposition to curing autism separates them from the mainstream autism community. In fact, AFF started an entire autism rights movement. In June 2004, Amy and Gareth Nelson founded Aspies for Freedom in the United Kingdom to defend the rights of people with autism spectrum disorder. It was the first time that a group of people with Asperger formed an autism activist organization. The group serves as an activist, awareness and support organization for autism, Asperger and other conditions within the spectrum. The international organization is made up primarily of people with Asperger and autism from all over the world. However, membership is open to anyone who supports their cause. Over the years, AFF members have been active in the media, public awareness activities and protests. The organization began a growing autism rights movement. Awareness activities are focused on promoting the idea of autism as a difference rather than a disease. AFF strives to protect the rights of people with any autism spectrum disorder to live full and productive lives on their own terms. The group evaluates potential autism treatments to make sure that the treatments are ethical and safe. AFF rallies to increase funding for support services and ethical autism treatments. The organization opposes and challenges any form of autism treatment with harmful side effects. AFF is against the idea of a need for an autism cure. The group views the concept of cure as the same thing as removing the autistic person's identity. The organization works to change the public's perception of autism and Asperger's syndrome as disabilities. AFF is also actively pursuing a minority group status for people with autism. A number of people within the autism community refer to an individual with Asperger's syndrome as an aspie. 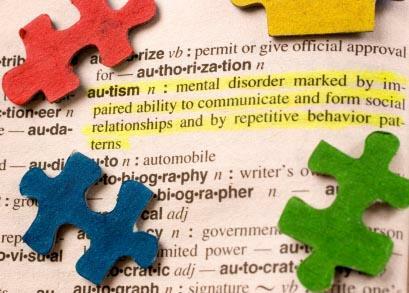 Within the autism community, the term aspie is considered as a positive and empowering way for a person with Asperger's syndrome to recognize their unique traits. The founding members of AFF have Asperger's syndrome and used the term to describe themselves. The establishment of Aspies for Freedom marked the first time that an organized group of autistic people to celebrate autism as an identity instead of a health condition. This concept of autistic identity and the opposition of many conventional autism treatments led to a campaign called the autism rights movement. Over the years, AFF and other groups in the autism rights movement have held protests against organizations that support the ideology of the need for an autism cure. The group also writes letters to the editor in newspapers and letters to law makers in hope of changing perceptions of autism as disability and protest any type of autism research deemed detrimental to autistic identity. In 2005, AFF established an annual Autistic Pride Day on June 18. Every year AFF holds a special conference and activities on Autistic Pride Day. AFF's first event took place in Brasilia, Brazil. AFF's international membership base has made it possible for the main conference to occur at a variety of locations over the years, ranging from the UK to Germany. Today many autism organizations all over the world recognize Autistic Pride Day and hold activities at various locations. AFF opposes the search for autism cures because a cure represents an elimination of an autistic person's identity. AFF has held protests against many well-known autism organizations such as the National Alliance for Autism Research, NBC's Autism Speaks campaign and Cure Autism Now because of the group's advocacy for autism cures. Critics of AFF argue that the group's opposition to autism cures does not recognize what autism research can offer people with autism. In a June 10, 2008 Good Morning America and ABC News story, Dr. Thomas Insel of the National Institute of Mental Health comments on the autism rights movement and the importance of searching for an autism cure. "You have to remember that this is a spectrum and you've got high functioning people and…people who can't even begin to function…We would love to have a cure to at least get them to the point where they would be able to function as well as the people in this movement," says Insel. The autism community includes many different viewpoints about autism and approaches to treatment. AFF's viewpoint about pervasive developmental disorders and the search for cures helps experts, the autism community and the general public learn more about the complexity of the spectrum of disorders. The existence of the autism rights movement builds more awareness about the concerns of a segment of the autism community. Recognizing the different viewpoints within this community can potentially lead to more sensitivity to the needs of autistic people and new approaches to autism treatments.